Vulcan Alberta CANADA/Thousand Palms CA. I heard this thread calling my name. Hey John, Dave Paul's getting back at it? Haven't heard from him in 25 years! Hi John, Yes Dave has been doing a single act using keyboards, and backup tracks, and a little guitar. He's not playing much just doing a few special events at seniors centers and the like. And folks John Lacey and Ray Leroux are not only Canadian steel players, they are among the finest of Canadian steel players. WOW! I just found this post tonight! 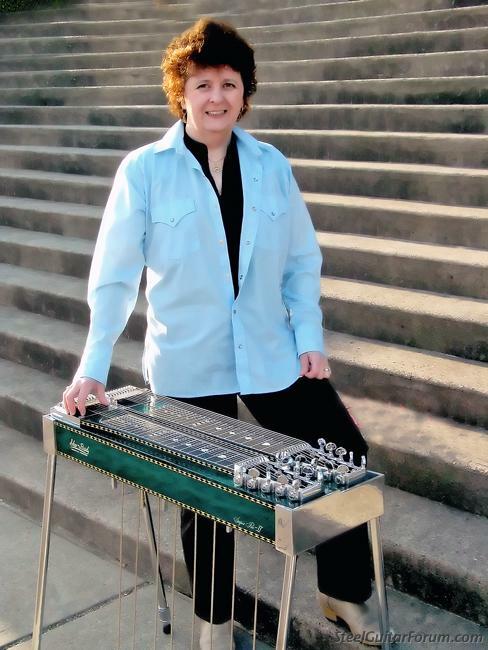 I feel that I should add my steel teacher, Elizabeth West, from Surrey, BC. Since some of you know me more from my photos, I'll add one here that I took for one of Elizabeth's four CD's. I also noticed that two posters use my photos as their forum avatars. Elizabeth also uses this photo as her forum avatar. Another Canadian steeler, from Cochrane, Alberta, is Neil Degraw. He also uses this photo as his Forum avatar. Oh yea, I'm here ........me too. Here too...Peace River country, Northern Alberta, near Grande Prairie. I'm not from Canada, but will be playing in the Lake Ontario region with the John Eddie band the next four nights. Y'know, I think that's a Super Pro-II that lady is standing behind. Sho~Bud only made a small number of those guitars, like a dozen, and they're big b-u-c-k-s when they come up for sale. I'm thinking the low 5 figures. 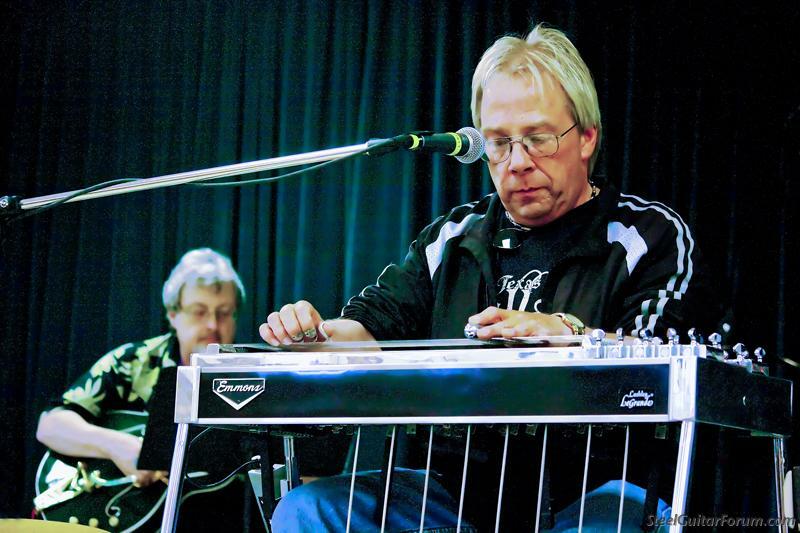 How many Canadian steel players have a Canadian built Linkon Steel guitar? Just curios. We have one in our band and everybody is impressed with it! I'm another Canadian steel player. 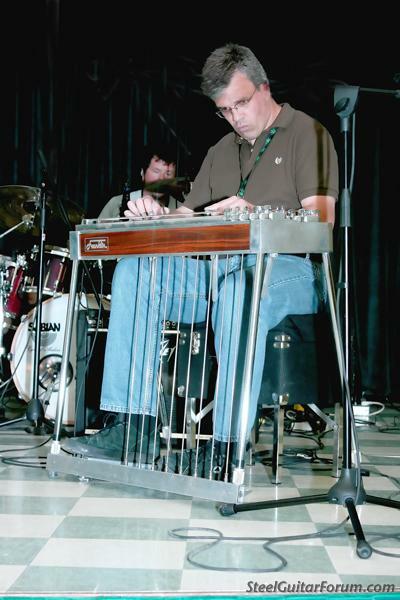 The first psg I played was a Linkon, at a jam in Winnipeg many years ago. I don't remember the name of the fellow that owned it, maybe he's on the forum. 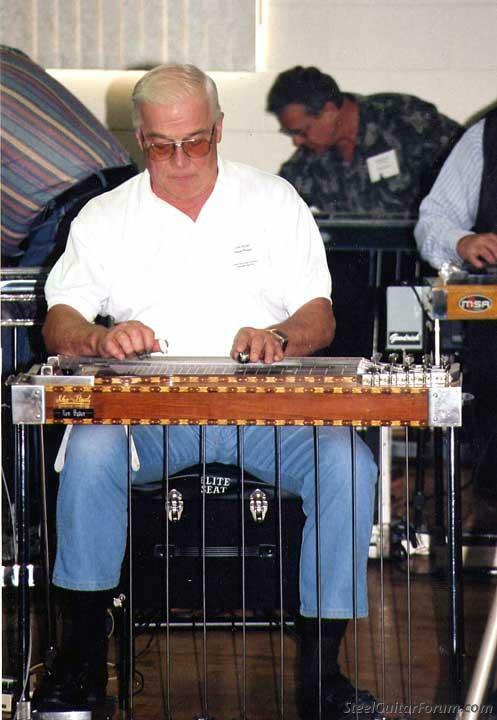 Never owned a Linkon but Wayne Link kindly set up my first steel guitar (MSA Sidekick). 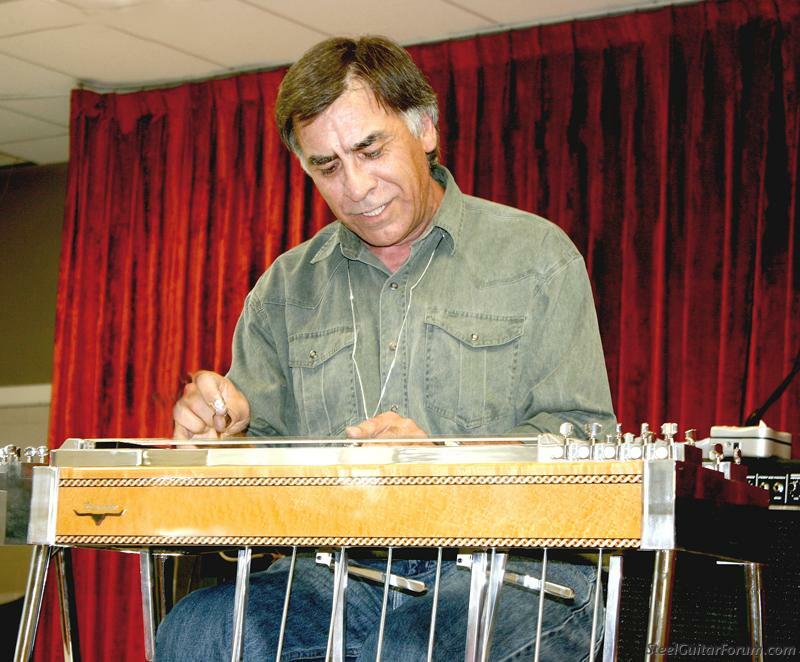 I'm proud to be Canadian but must say that because of steel guitar, have had the privilage to make friends from many parts of the world. Thanks to my friend, Jim Harrison, for starting this thread up again for back in 2003 I took my my steel out, after being in the closset for 20 years, when we moved from Ontario to Alberta. To add a couple players, there is Paul Bartha and Jerry Streuaef from Alberta and Jim Vien from Ontario and Jimmy Parish from Ontario who will be celibrating his 25th wedding anniversary November 30th with his wife Sylvia. I'm going back to Ontario for this event since Jimmy took steel lessons from me and became a great steel player. I also look forward on getting togather with a lot of the old pickers that I played with when we were younger. Hi Neil, Don't know if you remember me but we go back to 1973-4. I was fresh into Canada and you were one of the first steel players I met. You were playing with the New Covenant Children in London, your sibling gospel group. 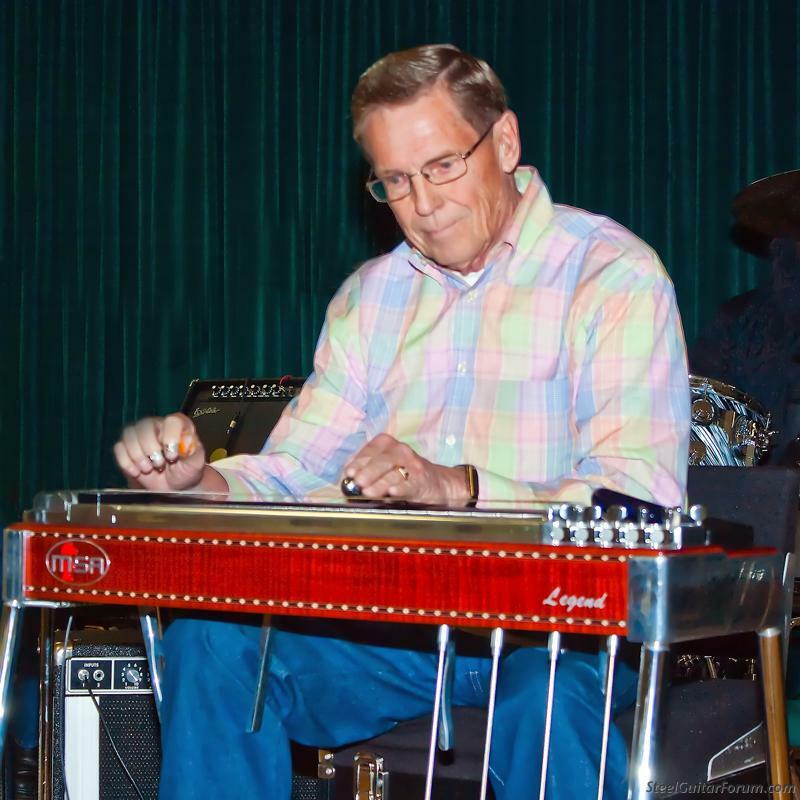 I went to a church one Sunday to listen to you and of course was taken away by your nice steel playing. I still have your album, I believe I bought it fro Bruce Armstrong back then. Many years have passed and I hope you are doing well out west. It would be a blast to meet you when you come to Ontario. 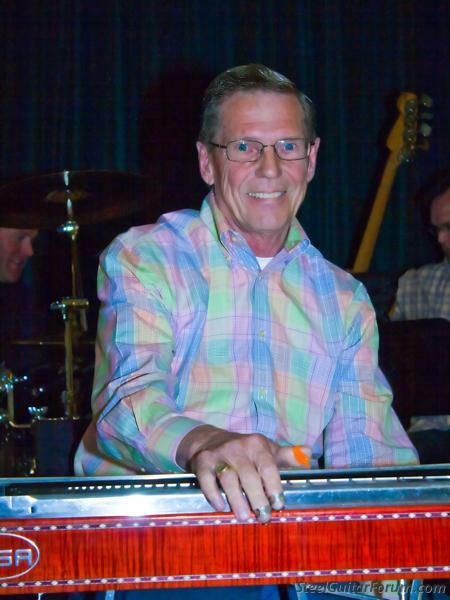 By the way, I talked with Jim Veen this summer..he was playing at an antiques show with his group...your name was mentioned. He is playing an S12 GFI. take care! It appears I posted the WRONG photo for Neil Degraw's Forum avatar - sorry Neil!! Here is the correct one. Also, Neil mentioned two steelers from Alberta; one of whom should have been Jerry Strellaeff, from Rimbey, AB. Another one, from Condor, AB is Darren Stewart. 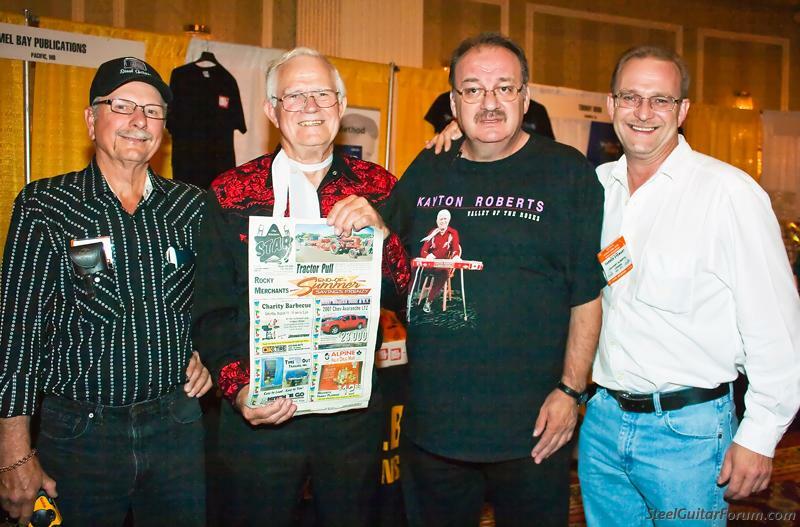 Here is a photo of both, along with Kayton Roberts & Roger Carroll, the later two from Nashville (Note someone mentioned Kayton as a Canadian - he's not). This was following Kayton's induction into the SGHOF in St. Louis. Jerry is on the left; Darren is on the right. Another steel picker, from Calgary, is Luc Desharnais. 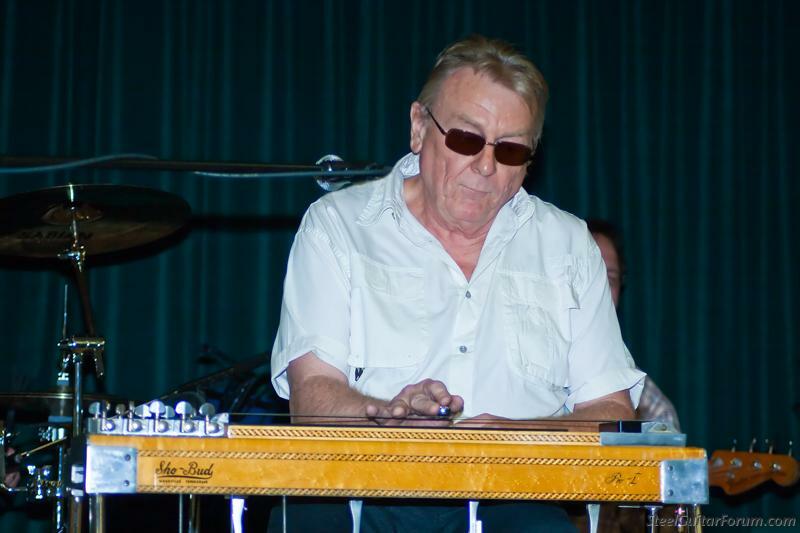 One last one, for now, is retired and a member of the BC Country Music Hall of Fame, Len Ryder, now living in Princeton, BC but originally from Surrey, BC. I checked in briefly ten years ago when this thread started. Still here, hanging out in Alberta and BC's Gulf Islands, and playing quite a lot with an interesting variety of artists. I cut my teeth in the bars of Eastern Ontario and Toronto back in the days of six-nighters. 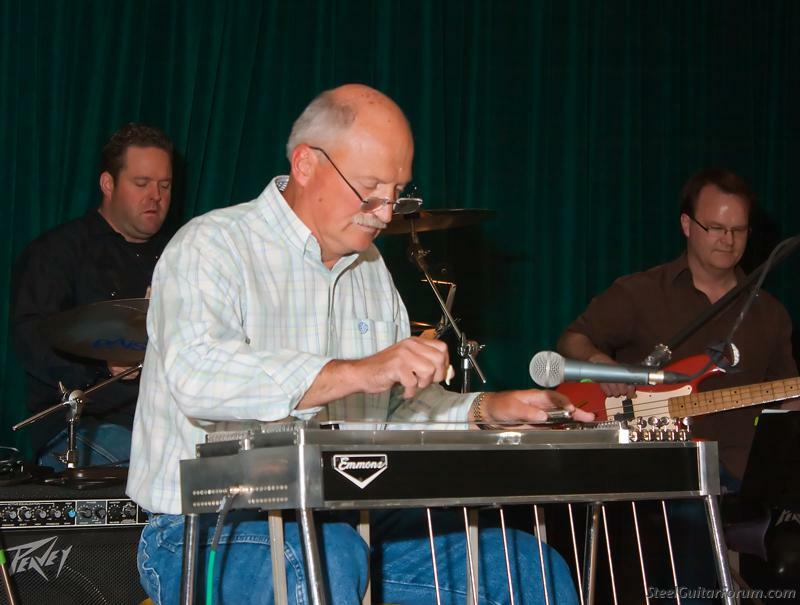 Jim Harrison has taken some of the best steel guitarist photos I've ever seen, and I'm proud to have one of them as my avatar. I'm just a closet player. T-Shirt is courtesy of Wayne Link promoting his Hawaiian Cowboy album. Bob Blair has been too kind with his comments re my photos. It is I that should be proud that he, & some others, are using my photos as their avatars on the Forum! 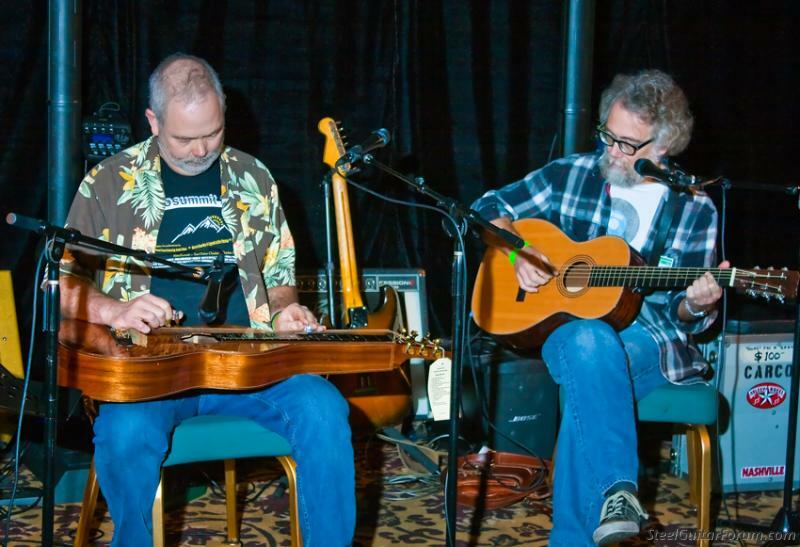 Here are some more Canadian Pickers that are - or were - members of the Forum. This is Evan Egohetz, formerly from Calgary, AB, now in Powell River, BC. This is Greg Derksen from Calgary, Alberta. Rob Anderson is from Edmonton, Alberta. 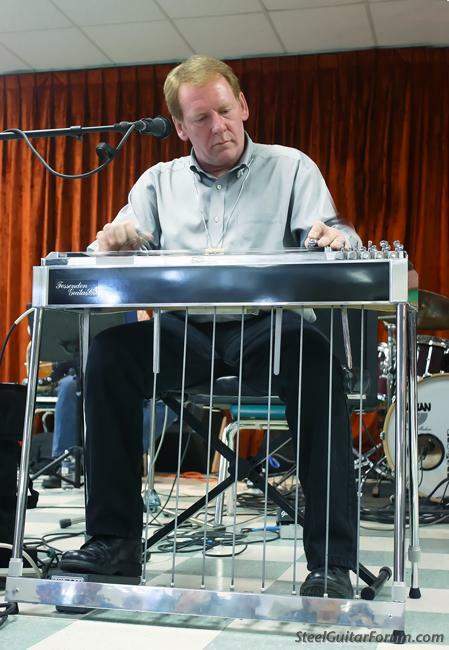 Ian Stewart from Vernon, BC plays his guitar slightly differently from most - how? Another one of Bob Blair, with his brother, Rick, from Toronto. Ernie Unger is originally from Saskatoon, SK but is now in Idaho Falls, Idaho. Jim Harrison is absolutely the best photographer we have and has helped us steelers out many times!!! Who would have thought this thread would last this long !! Thank you all! 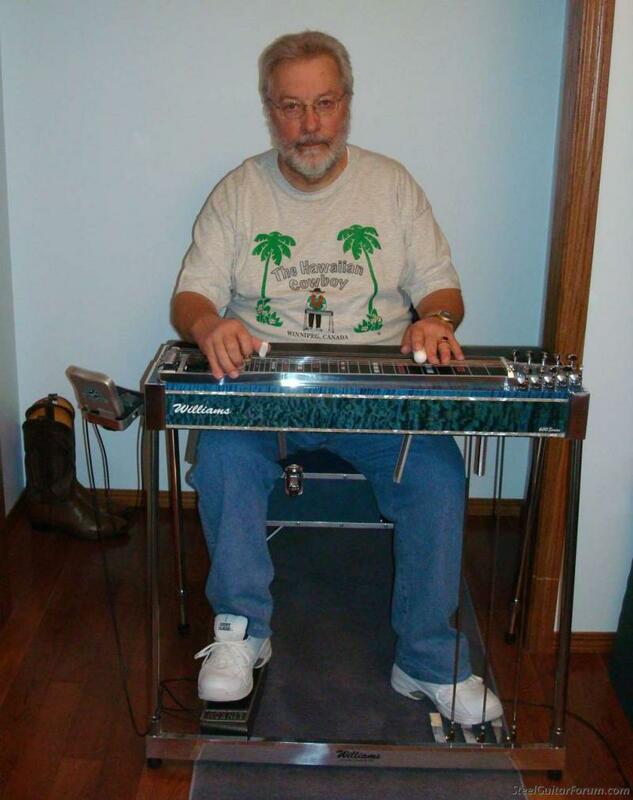 Although Im not a steel player, I am a Dobro/Guitar player along with my son Clayton. I just love all things steel and love this forum !